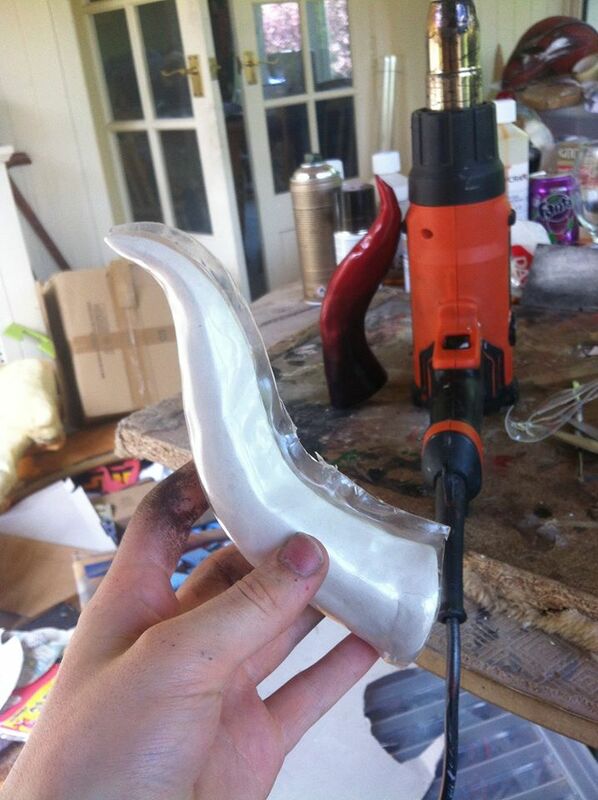 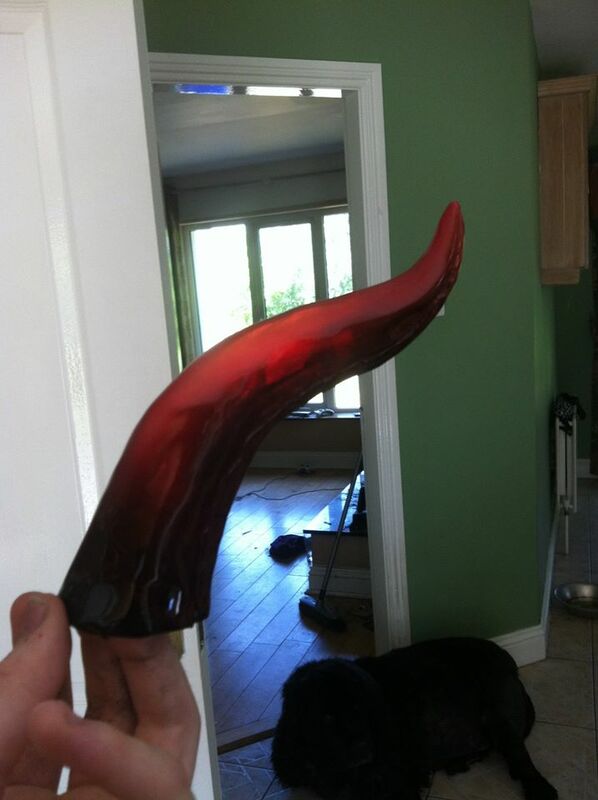 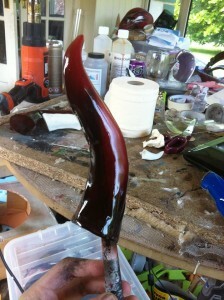 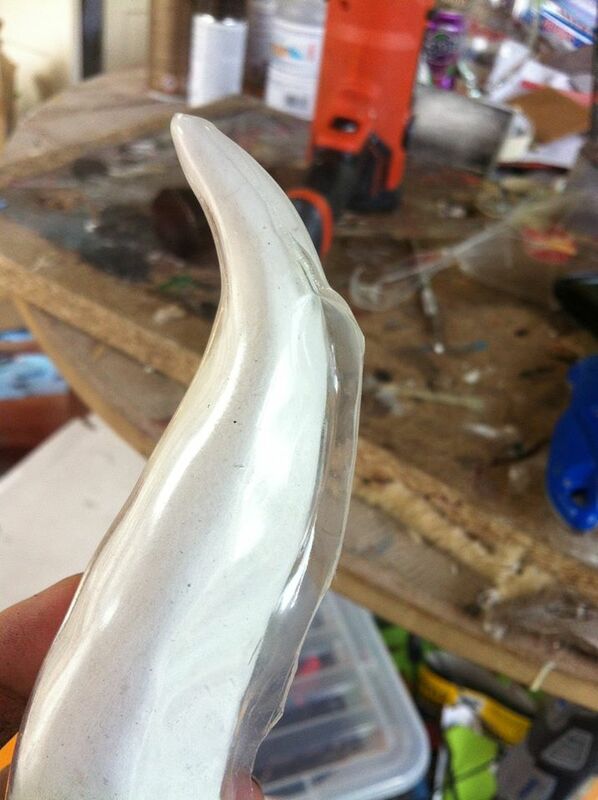 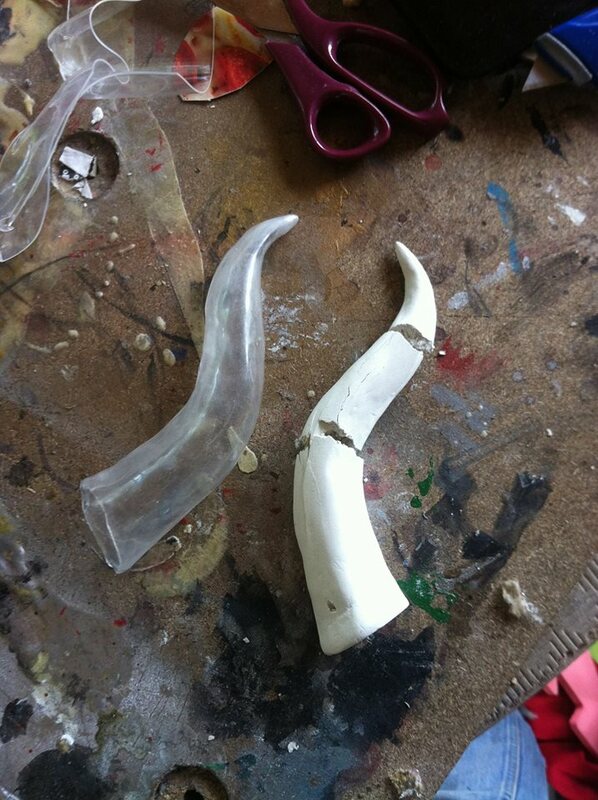 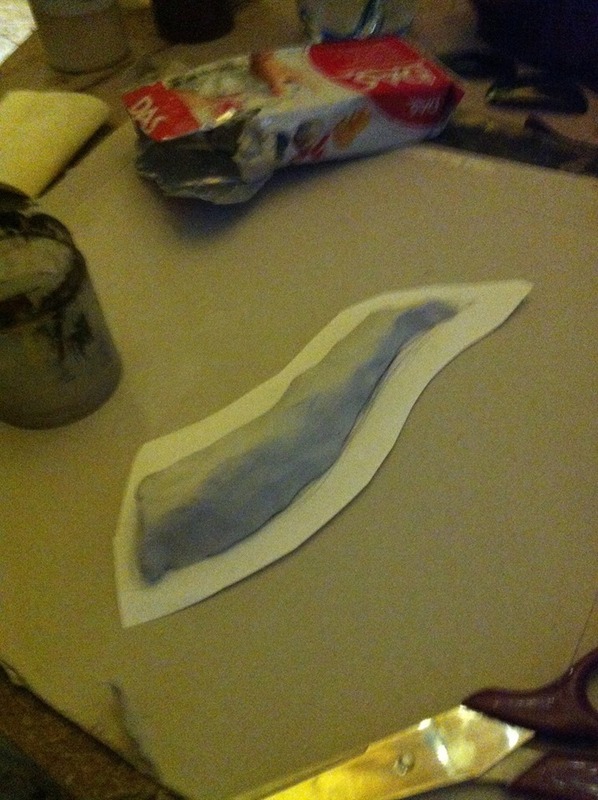 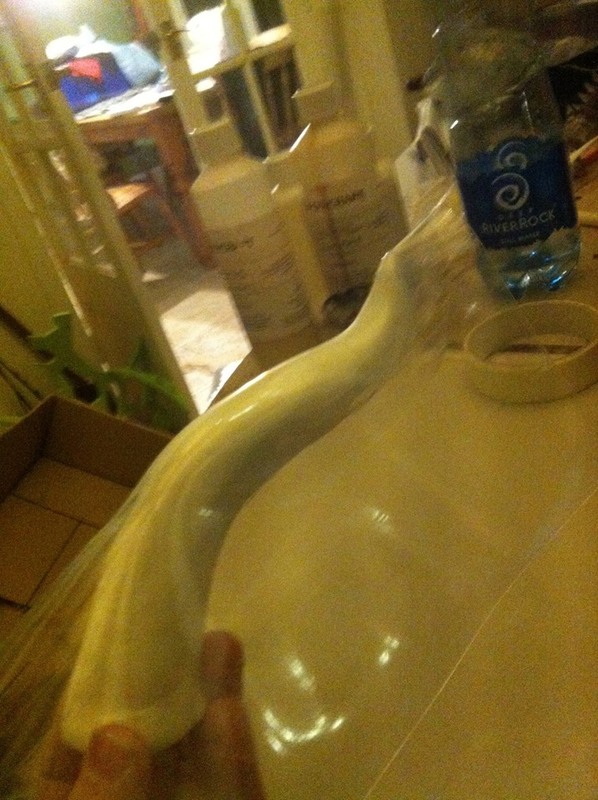 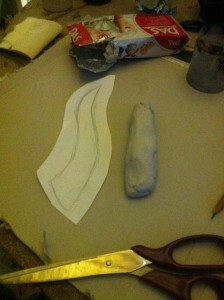 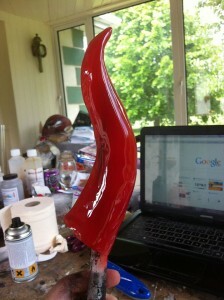 Melting Props,Cosplay & Projects shared this tutorial on how to make lightweight, perfectly smooth horns with Worbla’s TranspArt that you can paint either opaque, or with transparent paints so that they can be lit with an LED! 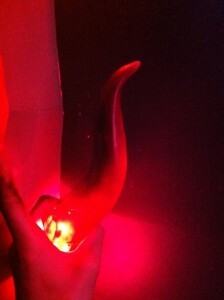 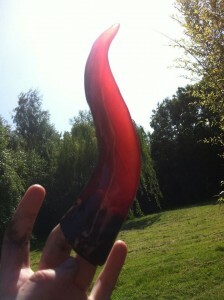 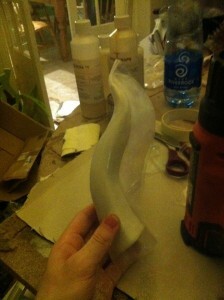 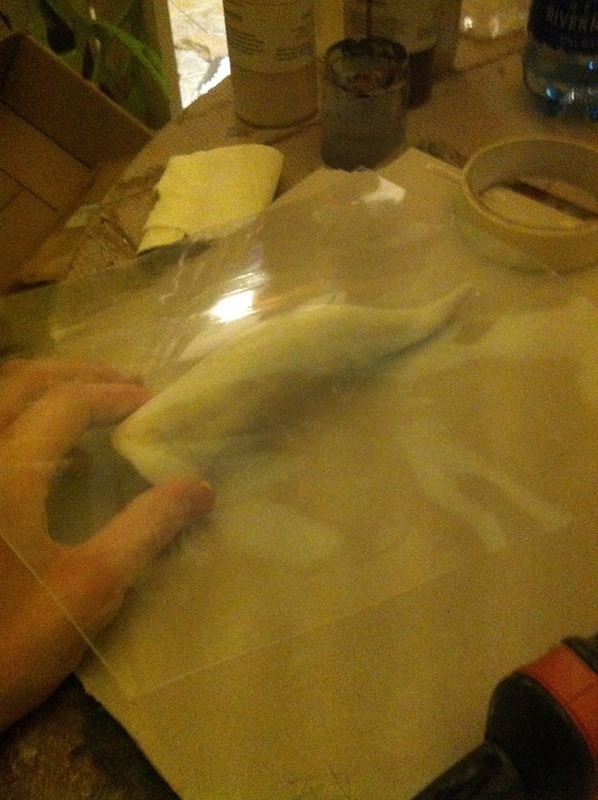 How to make light up translucent Demon horns form Worbla’s TranspArt. 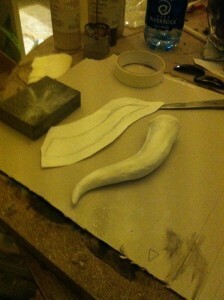 Step 9 trim the excess worbla so there is only a small bit of even flashing left . step 10 Heat and fold the flashing over to whatever side isn’t facing outwards it’s (right horn fold left left horn fold right) important to do this smoothly or you will be left with on uneven seam lines. 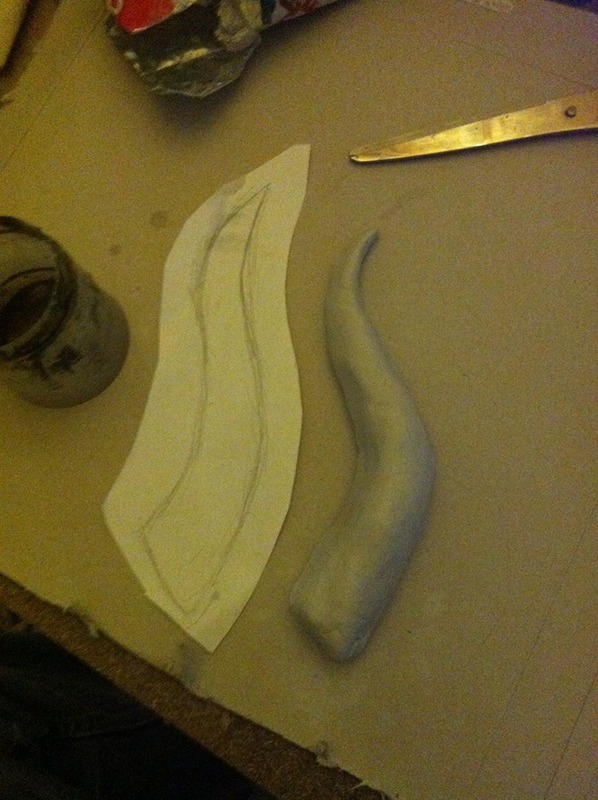 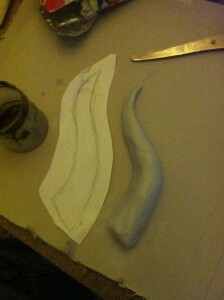 step 11 If you’re horns has more than one curve or has an overhang you may need to break it to break the clay inside it out if the clay was cooked for the right amount of time the very center should still be soft making this step very easy to do clearly if not it’s still pretty easy. 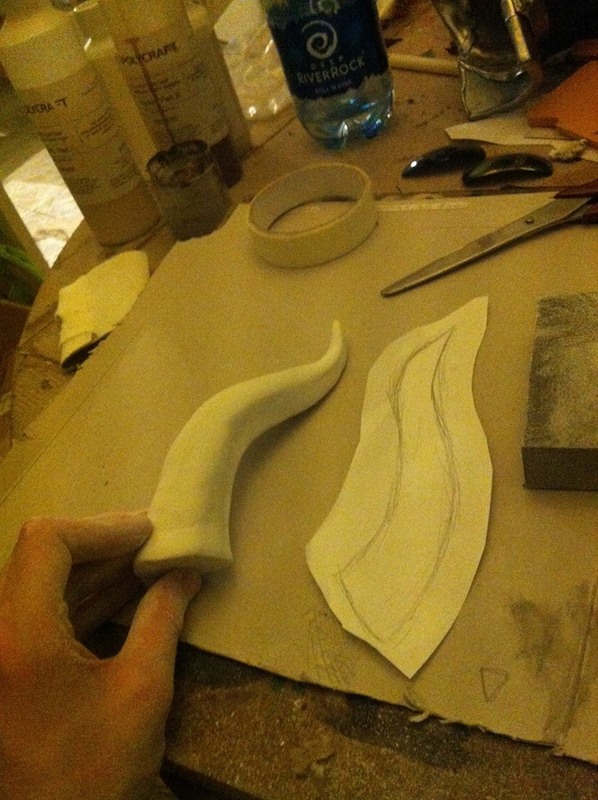 Also if you’re 2nd horn is the same as the 1st it’s possible to fix the broken clay horn by mixing DAS with water and using it as a glue put it back in the oven for an hour and and you’re ready to make a 2nd horn. 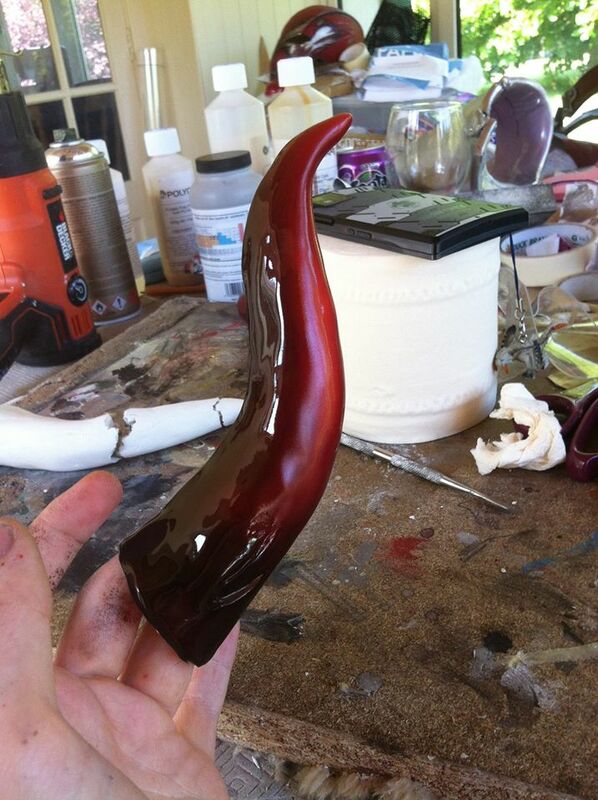 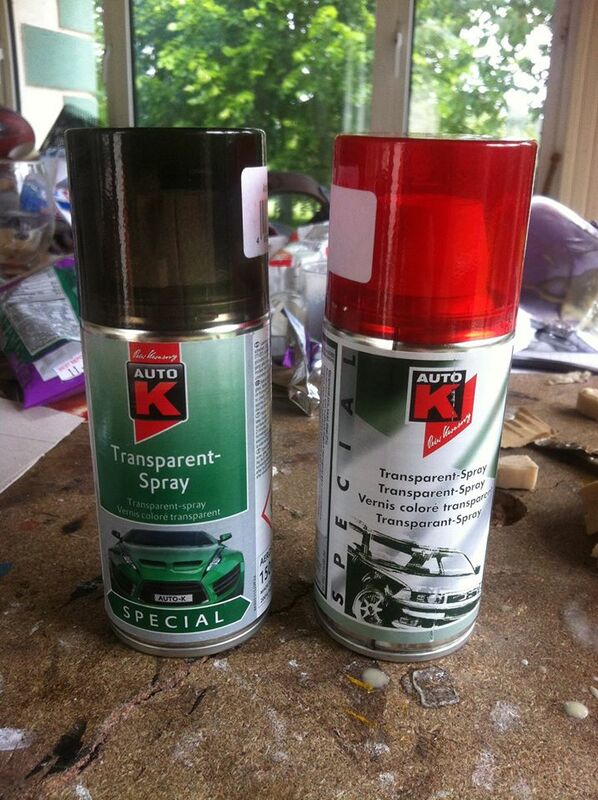 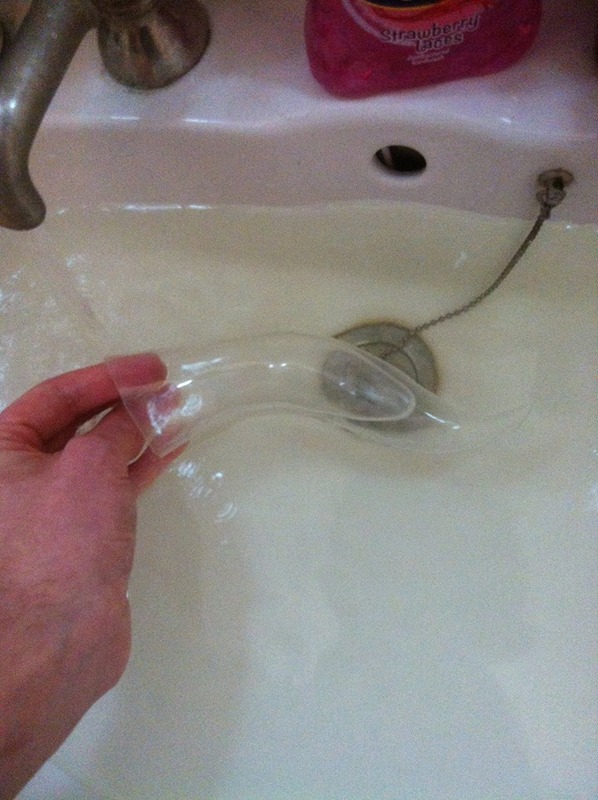 Thanks again to Melting Props,Cosplay & Projects for sharing this with us!